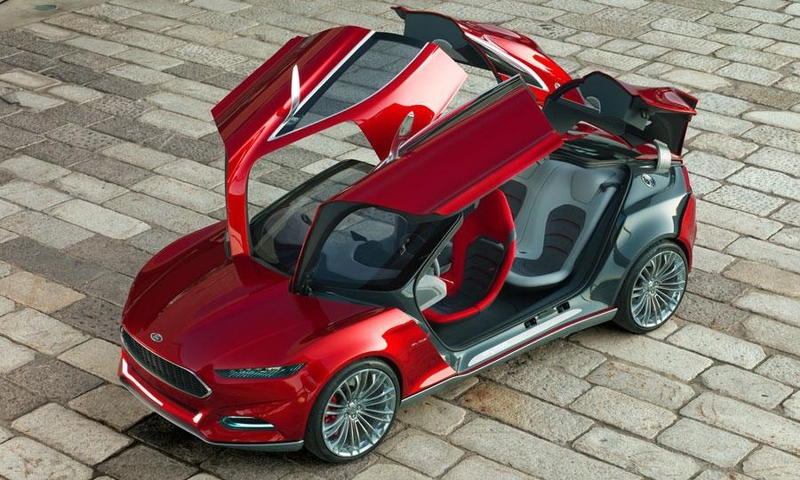 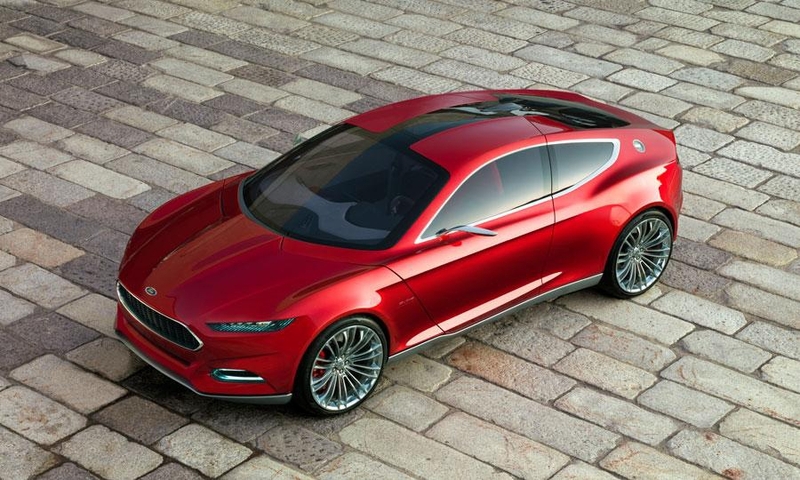 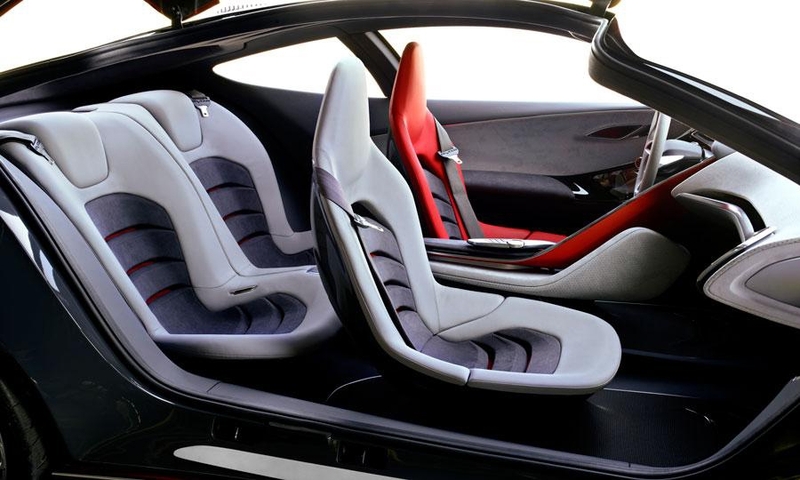 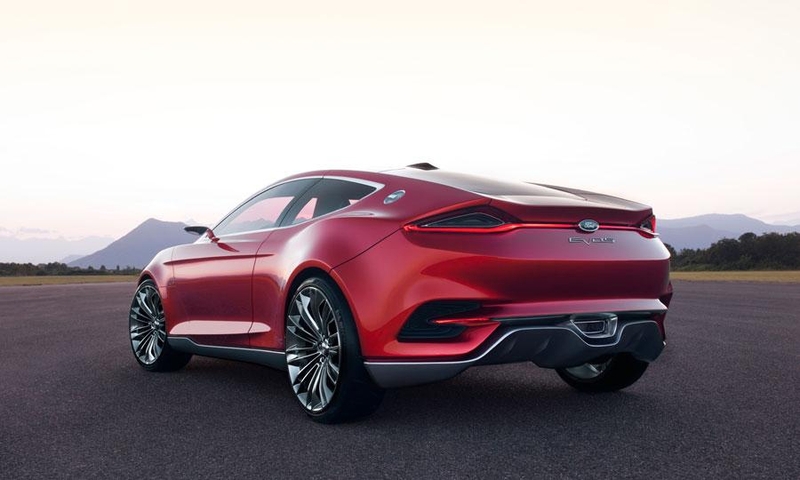 Ford's Evos concept has four gullwing doors, a plug-in hybrid powertrain and cloud technology. 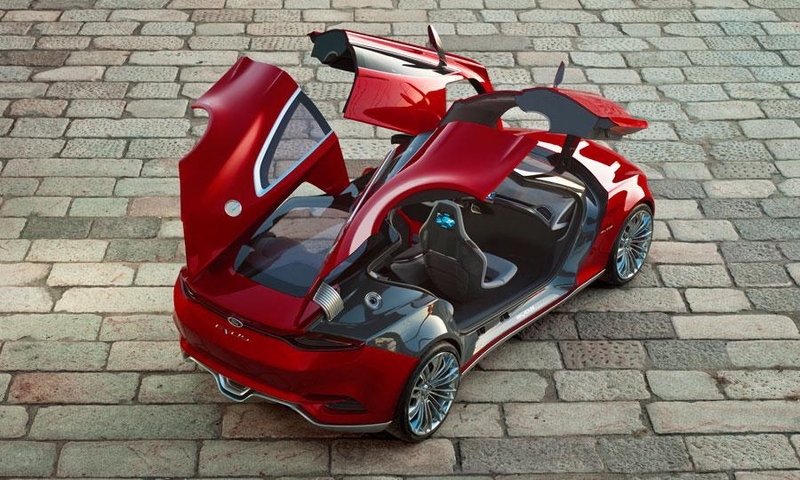 As an eye-catcher, the Evos has four gullwing doors. 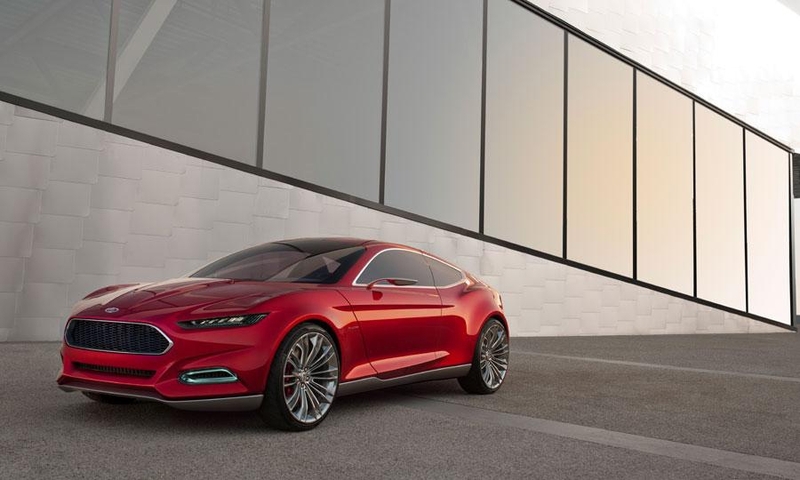 The Evos shows a new 'brand face,' created by moving upward the inverted trapezoid grille seen on current Ford cars. 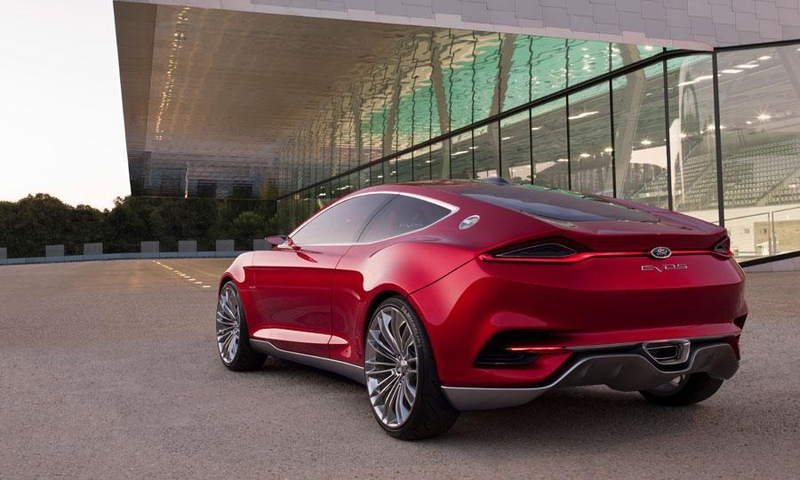 It's all wrapped in a curvy, GT-racer-style body. 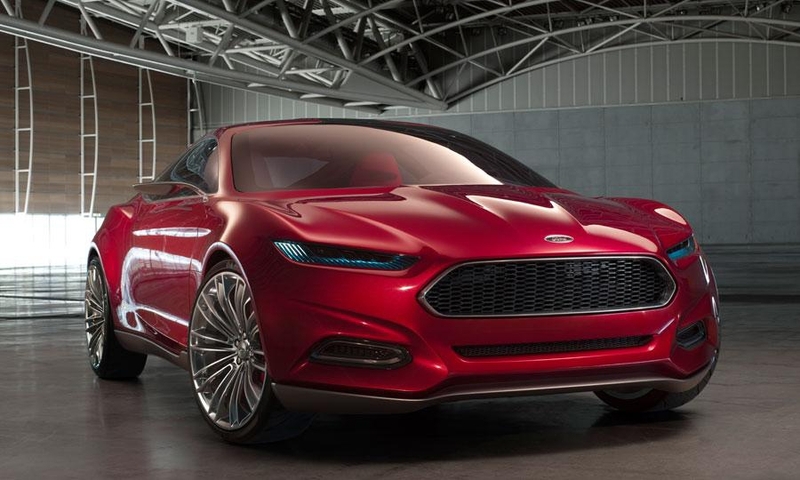 Ford says this design -- with an elevated, inverted trapezoidal grille, narrow, somewhat downplayed headlights and loads of connectivity -- will show up in future products.